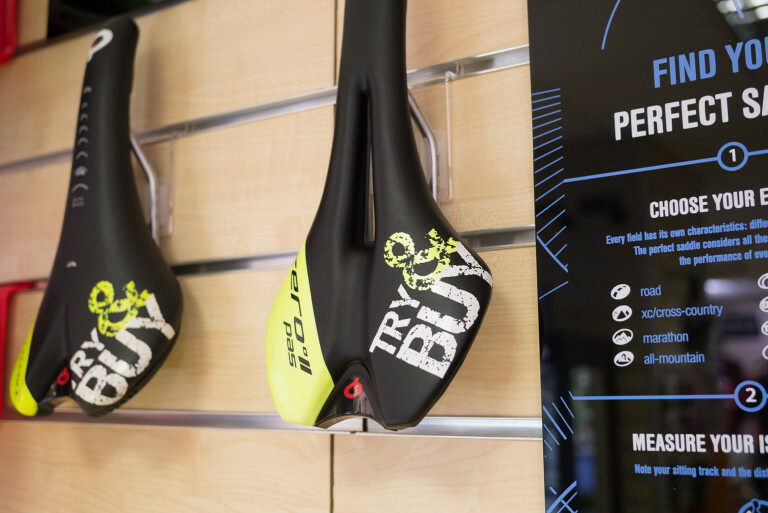 With literally hundreds of saddles to choose from, buying a saddle can be a daunting process so here’s a few tips to help you. 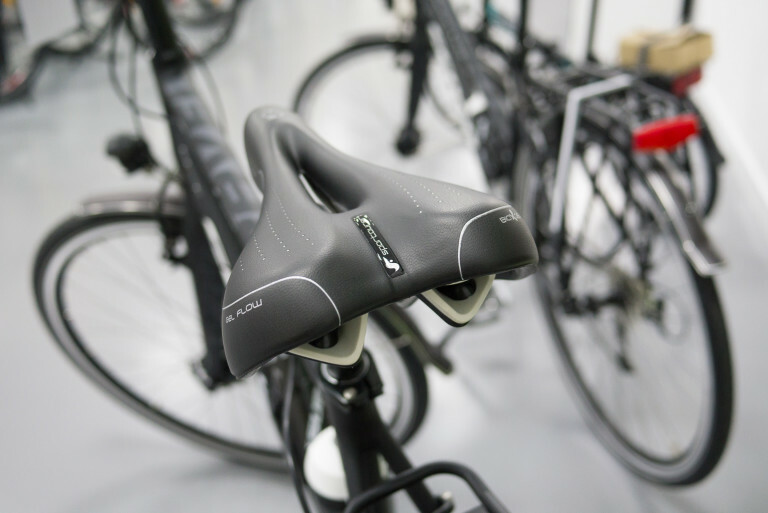 Trial and error, experience, reading reviews, asking friends, pot luck, science… finding a saddle that suits you can be quite a varied process. Saddles are the main point of contact between bike and rider. 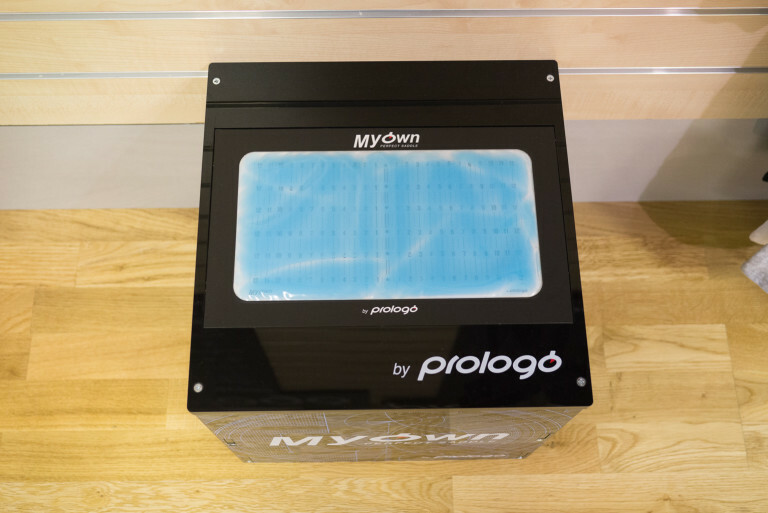 This makes them a very personal and crucial piece of kit. Getting the right one can make or break your comfort. It can be the difference between going out for an enjoyable long ride or suffering an uncomfortable short one. What kind of cycling are you doing? Many saddles are designed for specific types of riding. Longer rides need to emphasize comfortable whilst shorter, more intense rides can forgo comfort in exchange for lower weight. Bear in mind how long you intend to spend in the saddle and what the majority of your riding will be ie. short leisure spins, long touring rides, hour long commutes, racing, triathlon etc. Some manufacturers are labelling saddles with their recommended category for easier identification. 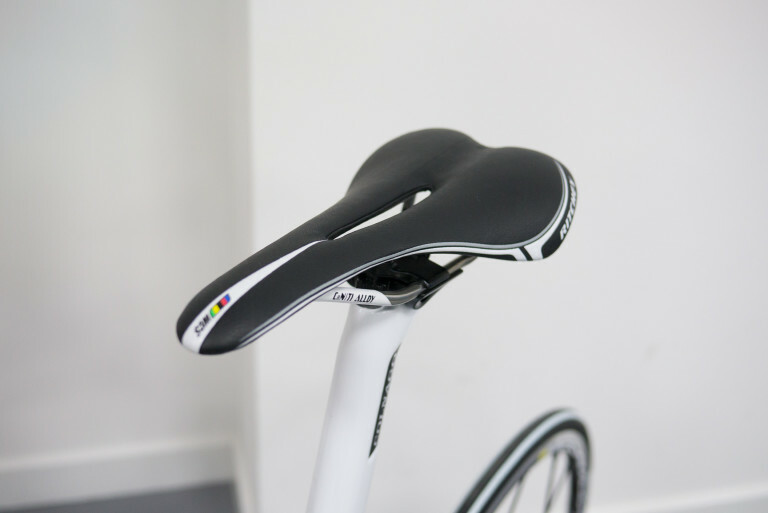 The shape of the saddle determines its best use. 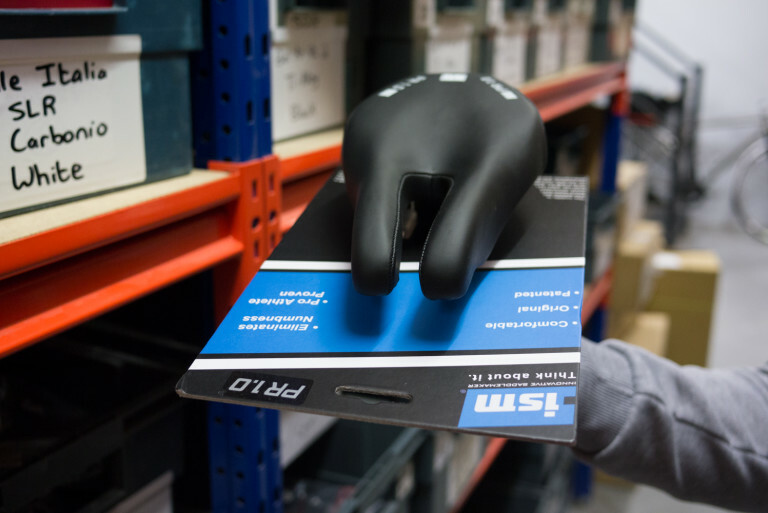 Wider saddles tend to be more comfortable so are good for long rides or leisurely riders where extra weight from more materials isn’t an issue. 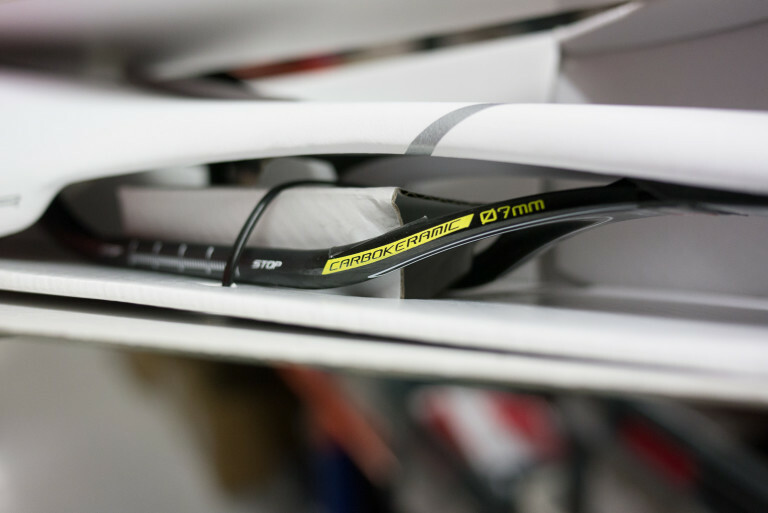 Thinner saddles tend to be better for short efforts – such as racing – where comfort isn’t dispensed with entirely but is compromised in favour of other factors. That said, your sit bones are the vital thing. 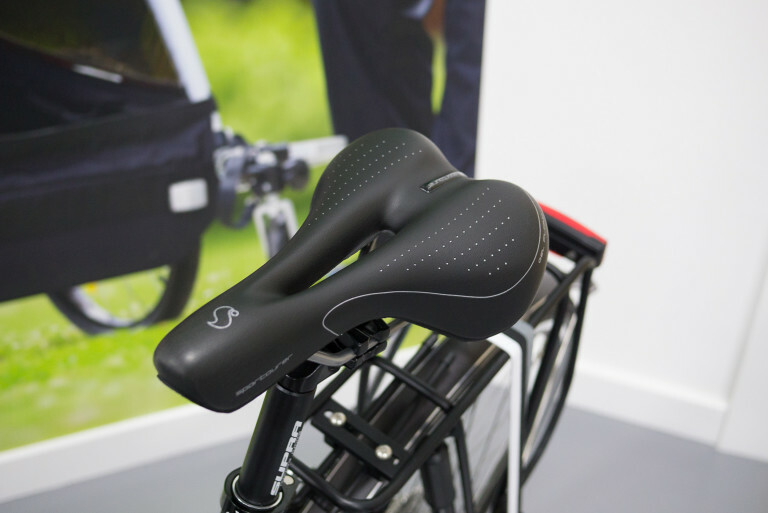 You need to be careful, if the saddle is too wide it can chafe whilst too thin can put a lot of pressure on soft parts. One of the best ways to determine what width of saddle you need is to measure your sit bones (the bones at the bottom of the pelvis) as they carry most of the weight on the saddle. This will help determine what width you need. 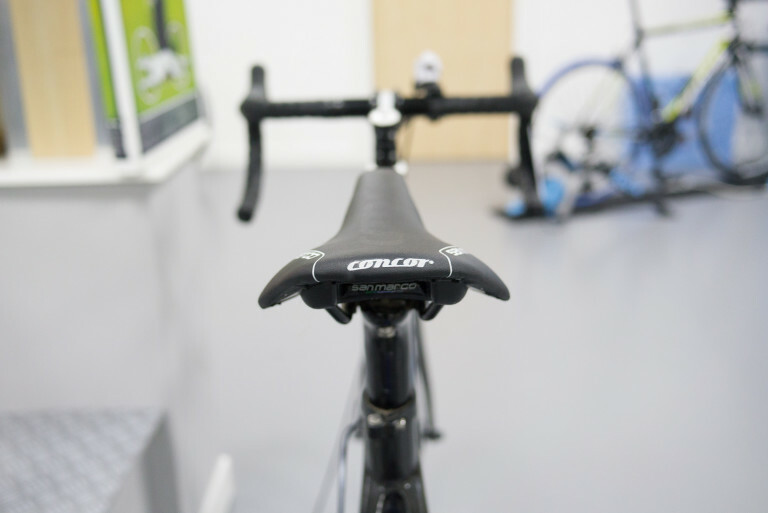 Our retail store has a sit bone measuring seat (pic above) which makes things much easier. 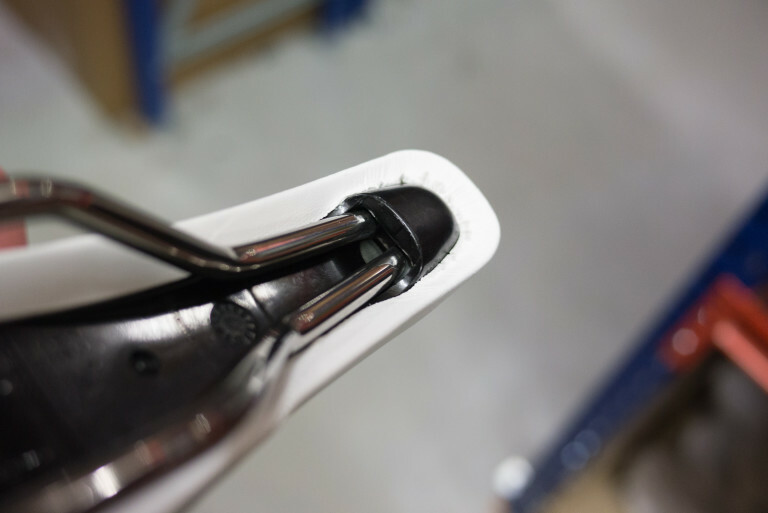 Lots of modern saddles also have a grooved or cut away central section which eases pressure on sensitive parts. This also helps the saddle flex a little more so can aid comfort on thinner, racier saddles. Some time trial specific saddles are cut down at the front and also have a large cut away section making them look like two well padded prongs sticking out but are surprisingly very comfy despite the rather odd looks. If you cycle with a more upright position then a wider saddle tends to be better; more weight is put on the sit bones. If you have a more stretched-out position then a thinner saddle may be better because there is not as much weight on the rear of the saddle. 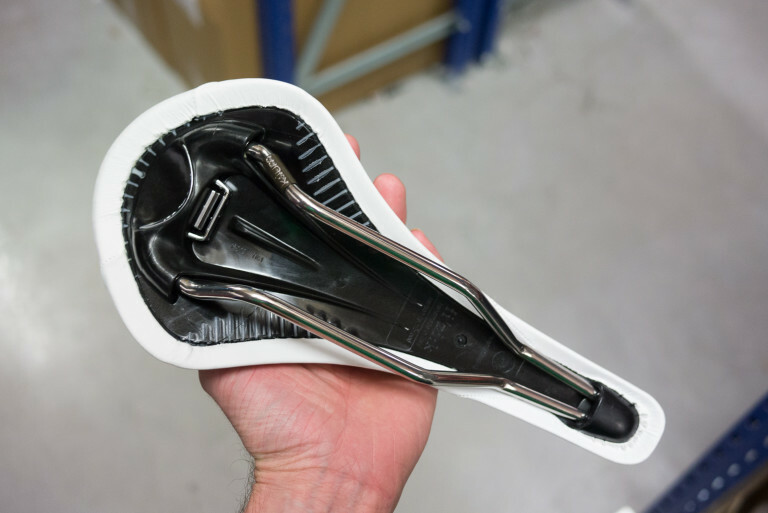 Some manufacturers have a guide for this and categorise their saddles for rider flexibility and riding position on the bike. The material used in the construction of the base and rails can have a large affect on comfort. 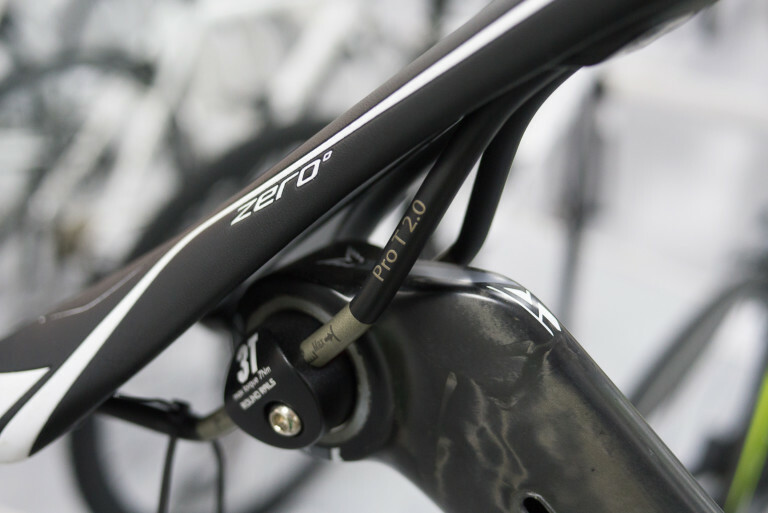 Most saddle bases are made from tough plastic which although pretty rigid does have a certain amount of flex to absorb road buzz. 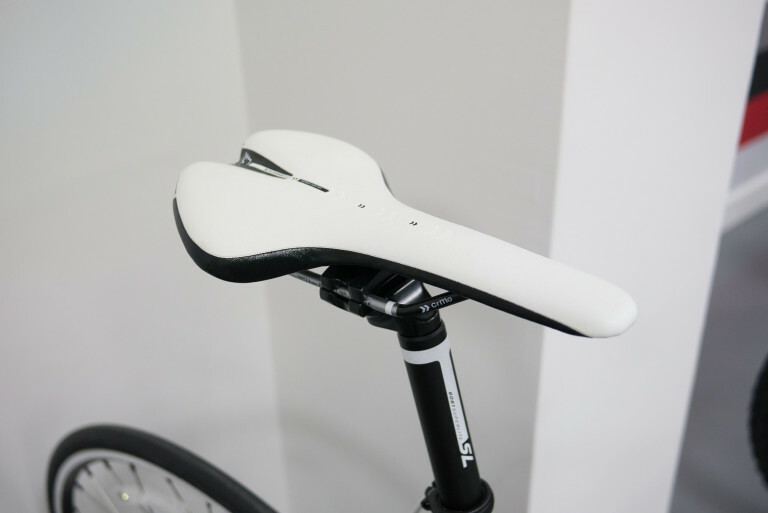 Carbon based saddles are very light but the base can be somewhat forgiving over rough surfaces. Some saddles feature holes in the body to help dissipate vibrations, weight weenies will argue this is to save weight too. Saddle rails can be made from alloy, carbon on titanium. Alloy is the most common material as it is fairly lightweight, easy to produce, inexpensive and also flexes for comfort. Carbon is the lightest but it very stiff so quite harsh compared to metal rails. Titanium seems to be the holy grail in rail material as it is quite light, very strong and has a good degree of flex built in without feeling spongy, only drawback is it is very expensive (but none more so than carbon). Padding varies a great deal on saddles. Saddles aimed at the comfort/leisure market tend to have more padding whilst racing saddles have less because less time is spent on it. More padding is not necessarily best though. Being the right shape and having a small amount of padding is better than being the wrong shape and having lots of padding. Padding can become deformed after prolonged use and you tend to find that even on short rides the padding in a saddle can move away from high pressure areas. A good hardwearing cover will also keep padding in place better. The range of women specific saddles is growing all the time. They are better designed to suit the female form, reducing pressure to sensitive areas and generally be more suitable to wider sit bones. Having said that, a lot female riders find they can use any saddle that’s right for their shape so don’t get hung up on it. Some saddles sit higher than others and vice versa so remember that changing the saddle can affect the distance between top of saddle and centre of bottom bracket height, ie. the height you need to set your saddle at. If you do change saddles make sure you measure this distance and make any necessary adjustments before you start riding. Good, comfortable cycling shorts are still needed no matter what saddle you choose! Tagged beginner, buyers guide, fizik, ism, prologo, ritchey, saddles. Bookmark the permalink.